In typical British bank holiday style, it rained and rained and rained on Monday. I took the kids out to the shops, then for a walk; and little girl went on her bike. I couldn’t find my i pod (need to find that); put Strava on my phone and went out. 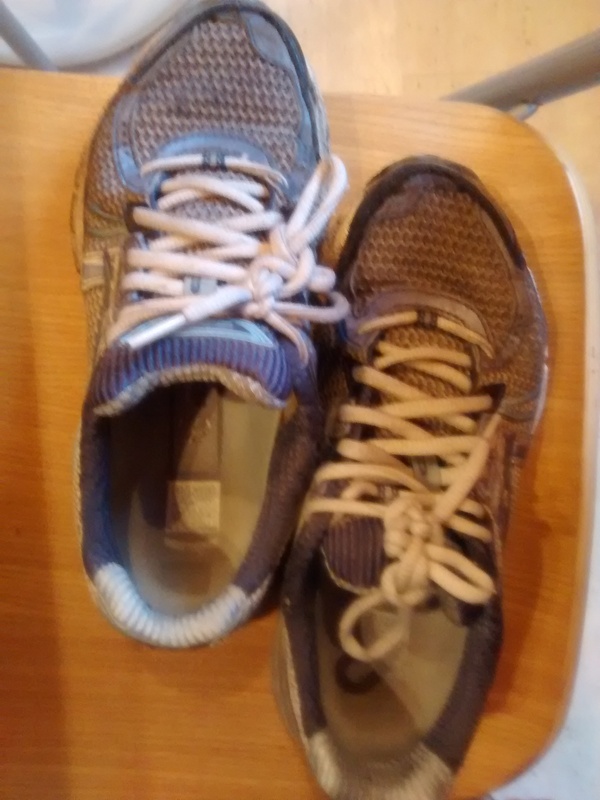 I ran 5km in 36mins. Not the fastest to date but it’s done. I only had to stop for a walk once. I managed to keep going through that miserable bank holiday rain. 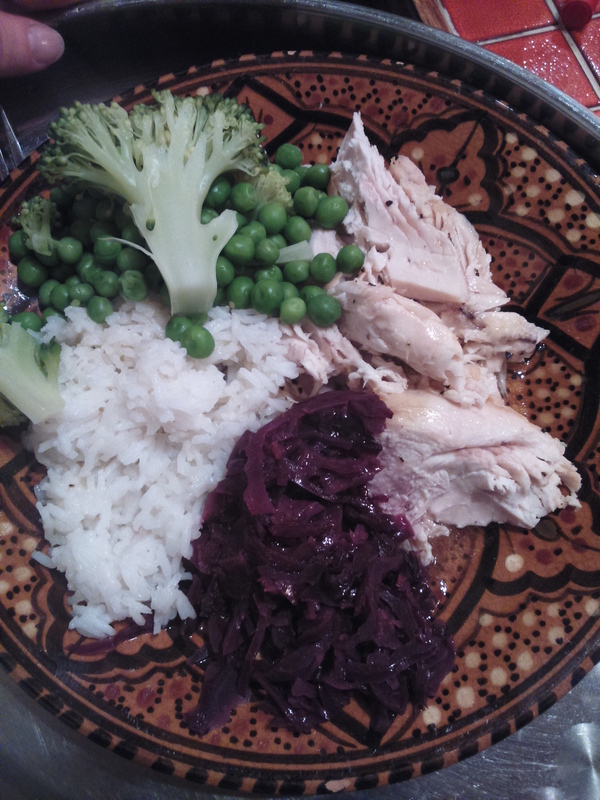 Roast chicken, red cabbage, broccoli, peas and rice.